StoryWood Bowties is about life stories - not just the stories of the wood we use in our products, but also our company’s efforts to help people reclaim their own life stories. Our wearable wooden fashion accessories make a one-of-a-kind impression: what story are you wearing? 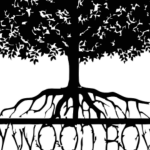 To grow our business, we are looking for new opportunities to get StoryWood bow ties in front of potential customers, both online and in person.